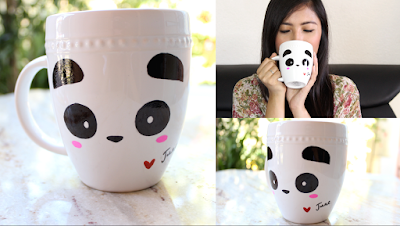 Today's DIY project features my awesome Panda Mug! This DIY Panda Mug project is really simple, anyone can do it. Aside from using it for its purpose (a drinking mug), it's a great gift idea and you can even use it as a room decor display piece for your coffee table or your vanity. I've uploaded the video up on my YouTube channel, but as always, I will list the supplies in my blog. You can use brands such as Painters, Sharpie, Sanford, or Deco. Just make sure you ask the employees at the art supplies store that they work on ceramic cups. This is used to get the ink to flow out of the marker. Thanks so much for stopping by! Hope you like this DIY Panda Mug project. Let me know in the comments if you are a panda lover!!! If you decide to make one, please send me a picture of it to my Instagram/Twitter/FB @JuneBeautique)! 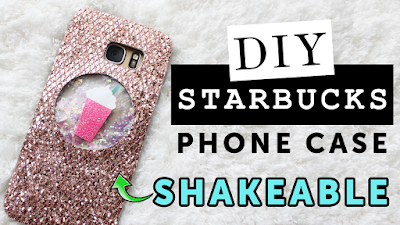 I would love to feature in my next DIY video!